Stop by this Spanish bar, where you can count on a warm ambiance. 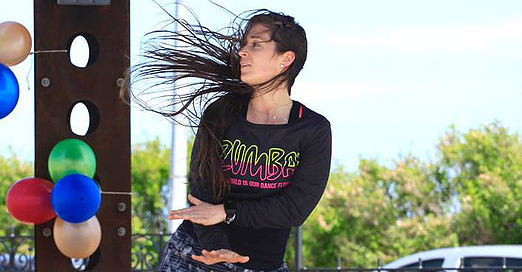 LadyFit SPM is offering you a lot of activities for adults and children. Without subscription, you can participate to the session of your choice between Yoga, Zumba, Cardio training, Muscles reinforcement and more! 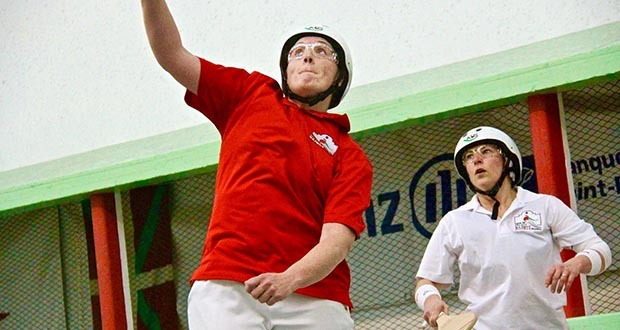 You’re finally going to understand the rules of Basque Pelota thanks to this introductory course. Many players on the archipelago specialize in this sport, which has been enjoyed here since 1900. Whether you like jazz, rock or a variety of musical styles, you’ll certainly enjoy the atmosphere at this cosy bar. 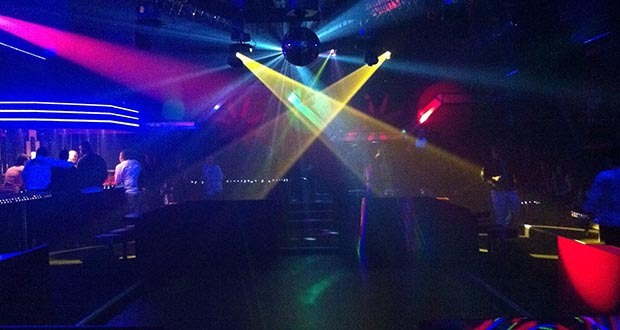 If you get a crazy urge to dance all night, head to Le Joinville, Saint-Pierre’s disco bar. 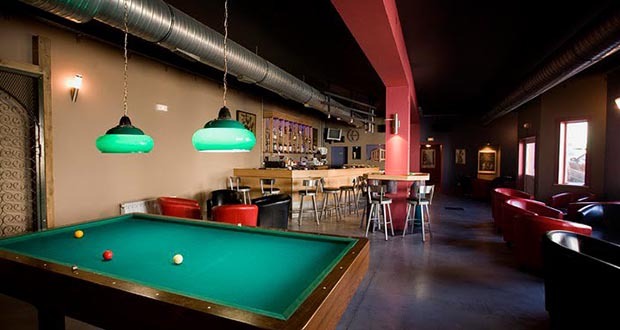 Enter this bar with both contemporary and rustic ambiance including American billiards. 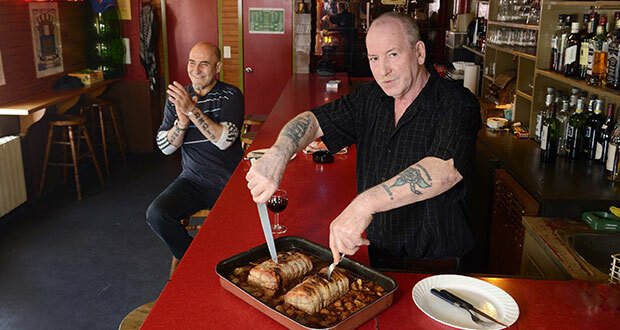 Enjoy entertainment with local music and Canadian musicians all to ensure an exceptional evening. Enjoy the terrace during the summer. 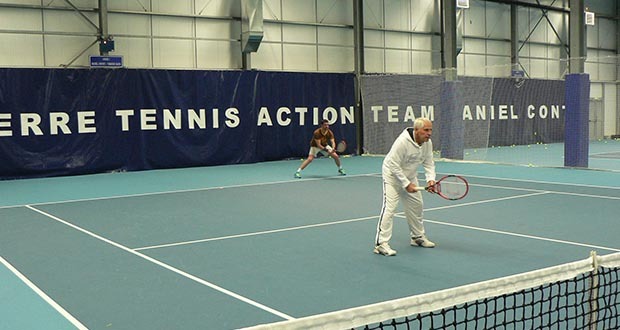 The Saint-Pierre Tennis Action club allows you to rent their indoor tennis courts to hit some balls if you get the urge. 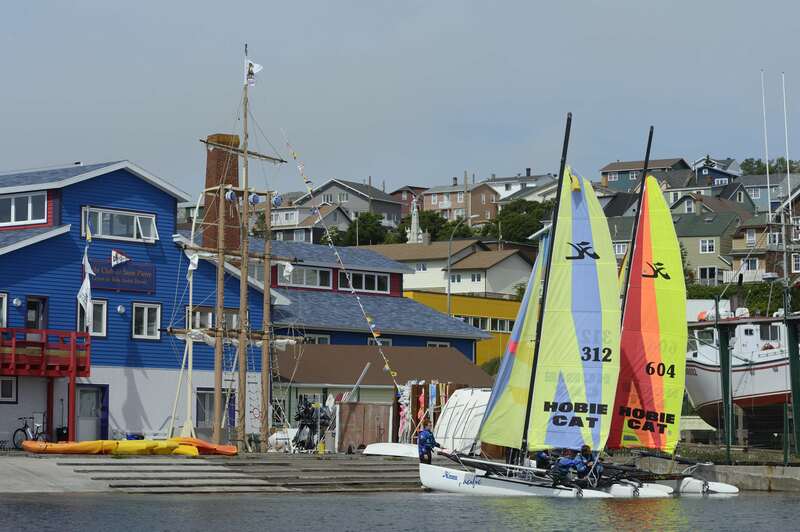 From July 15th to September 15th, take advantage of courses and water sports activities at the Saint-Pierre Ecole Municipale de Voile (municipal sailing school). Let us help you find an activity that you’ll like, from sailing classes (all levels) to paddle-boat rentals. 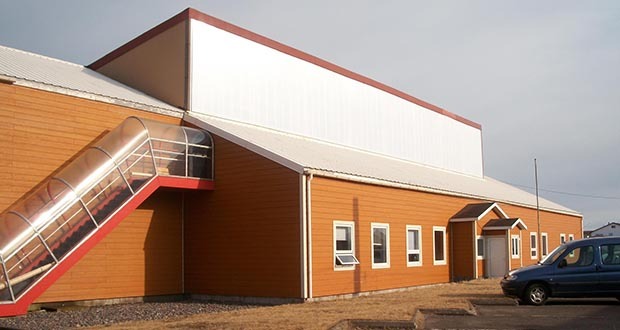 If you feel like doing sports during your visit, head to the Miquelon recreation center, where you’ll surely find an activity that will please you among the many possibilities: soccer, basketball, handball, karate, tennis and archery and more. The ideal place to go have a drink before going to eat! 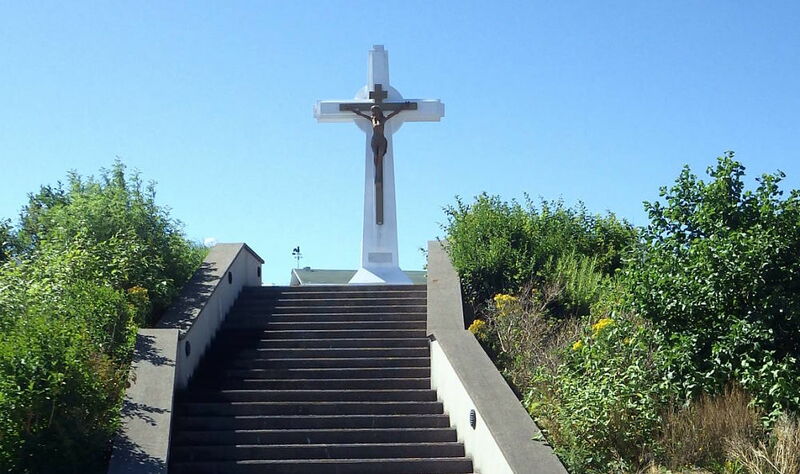 After a hike or a museum visit, take some time to relax at the foot of this impressive Christ on the cross sculpture, made of hand-sculpted wood. 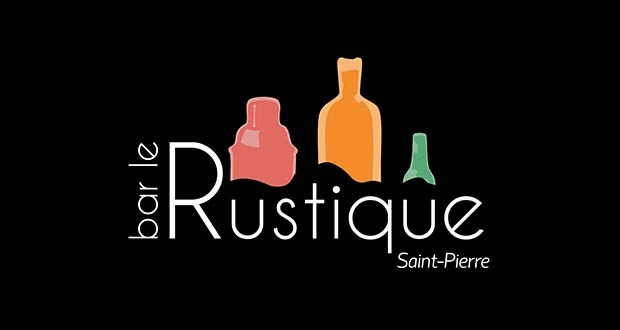 This will give you an opportunity to observe the city of Saint-Pierre and its port. For a panoramic view of the city on a historical site, head to Fort Lorraine. This observation post was built after the liberation of the archipelago by the Free French forces and Free French Naval Forces in 1941. 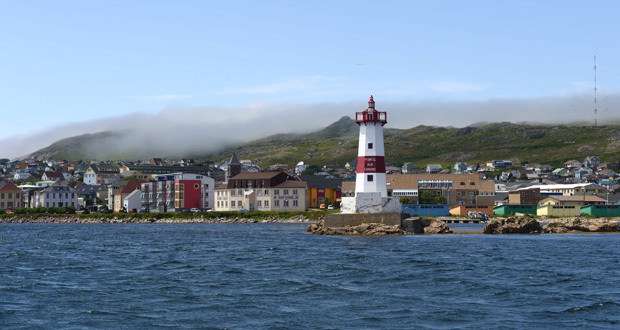 Come discover the methods used by early cod fishermen. 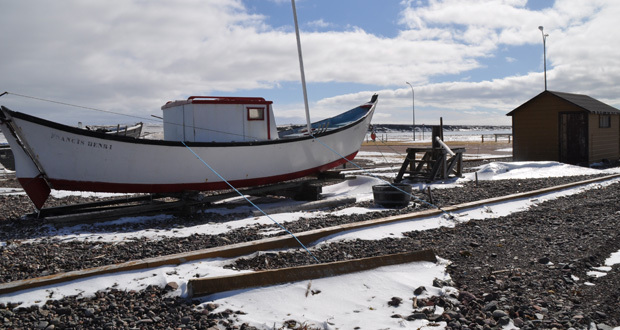 On site you’ll see a traditional dory and all the equipment needed to cut and store fish. Experience this authentic fishing scene! 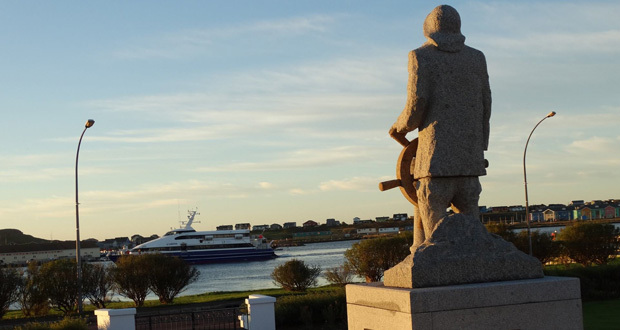 You can’t miss the sculpture of a sailor that overlooks this peaceful park. This statue, erected in 1964, was sculpted out of a block of granite and is dedicated to the many sailors who lost their lives at sea. 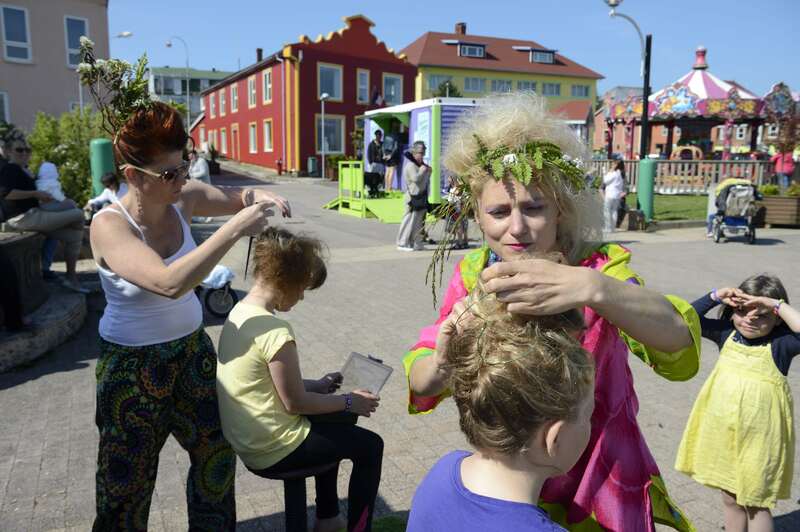 During the Sailors’ Festival, the procession stops there to lay flowers at its base: a lovely, touching moment to share with the locals. 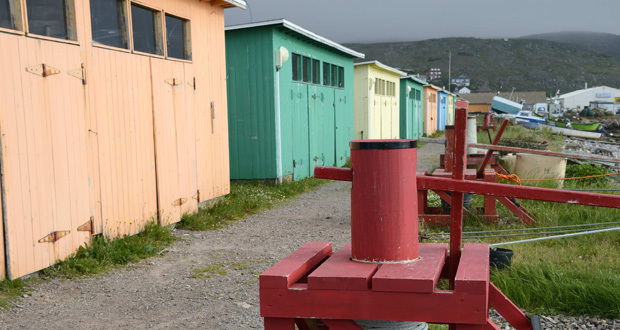 Formerly used to store salt, salted fish and fishing gear, these colorful little cabins located on the coast are now used to protect artisanal fishers’ equipment. You’ll be wanting to repaint your house when you get back home! 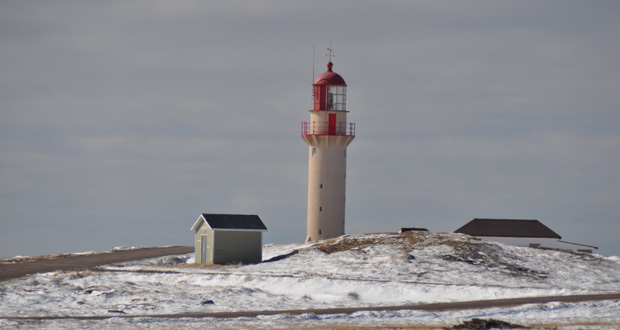 Located opposite Saint-Pierre, this little island, which seems a bit modest, is a testament to the archipelago’s past, in particular the era of the great cod fishery. 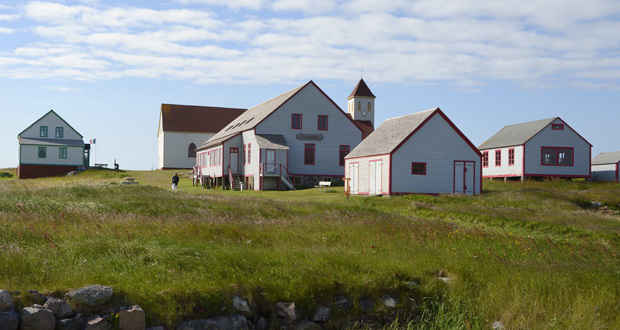 Since the 1960s, the island is inhabited only in summer, but heritage associations are working to revitalize it, for the great pleasure of visitors. 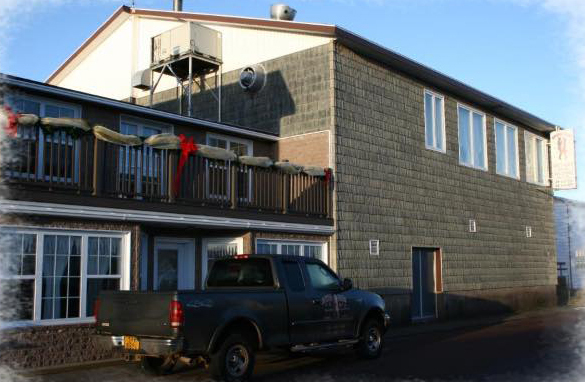 Located opposite the Saint-Pierre Post Office, you surely saw this place where locals gather, both for everyday meet-ups and for holiday festivities. The fountain, which dates back to 1866, was used to supply fishing boats with drinking water. Zazpiak-Bat means “7 in 1” and refers to the seven provinces of the Basque Country. This stunning colored wall was built in 1898 and is evidence of the sport played by the Basques, the first fishermen to settle on the island. 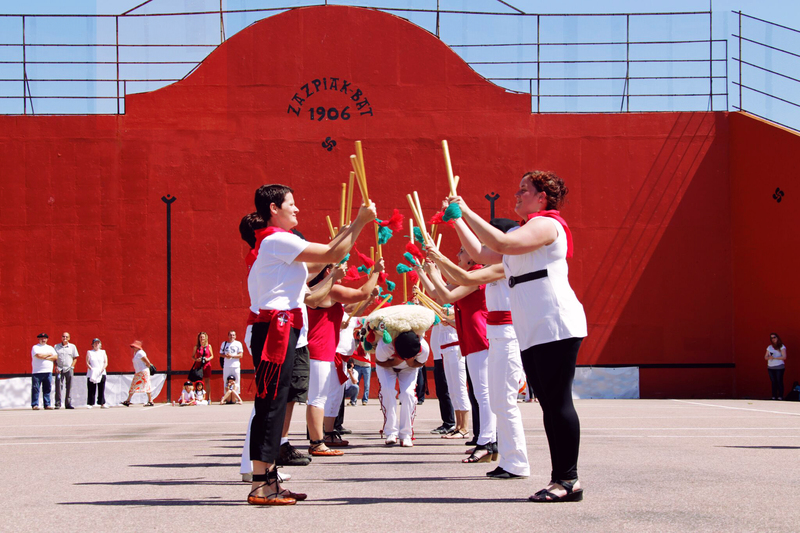 Every year, it is host to the Basque Festival, an event that all visitors should attend. It is noteworthy that this fronton, the oldest in North America, is still standing after all these years. For a long time, the archipelago was the scene of battles with the English and these cannons were the first weapons of choice to protect the islands against invasions. Not far away is the red and white lighthouse that can be seen at the end of the jetty, offering an amazing view. 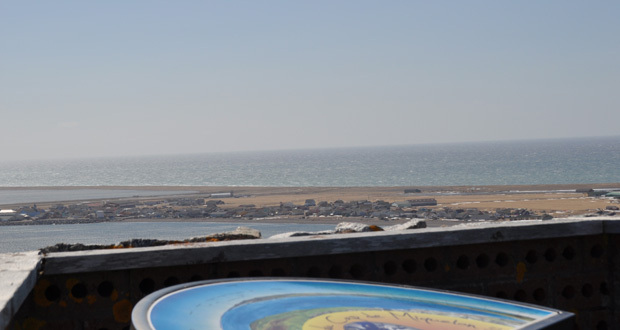 You can reach the lighthouse on foot: well worth the walk! 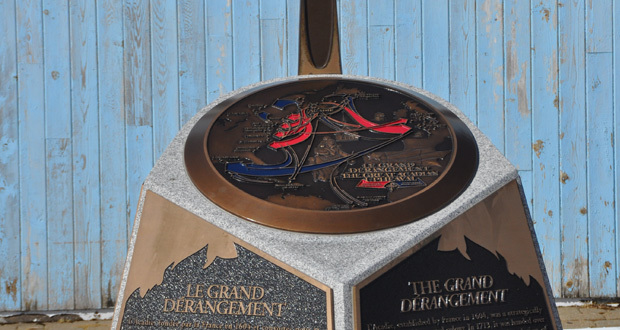 This commemorative monument is a reminder of the odyssey of the Acadian people from 1755 to the beginning of the 19th century. Cap Blanc is one of the last lighthouses built overseas. Its light was first turned on in 1883. Take note, photographers: a splendid view awaits you here! After fires destroyed many of the archipelago’s wooden churches, a cathedral was built of cement and was opened in 1907. Observe the interior architectural style, featuring upper galleries and railings made of wrought iron, true evidence of Basque influences. 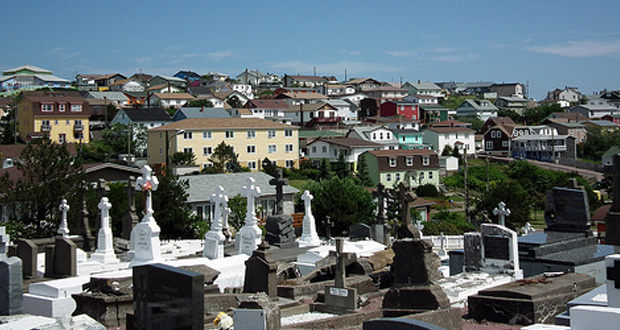 After being moved several times since the 17th century, the cemetery found a permanent location in 1872 in the western part of the city. Take a stroll down the lanes of this graveyard and see the thousands of headstones and monuments which evoke our history. 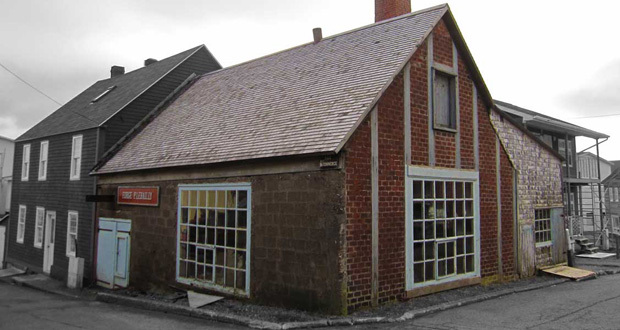 A former maritime foundry built in 1878, this building was constructed using a French method that dates back to the Middle Ages. Proof once again of the influence of the French! 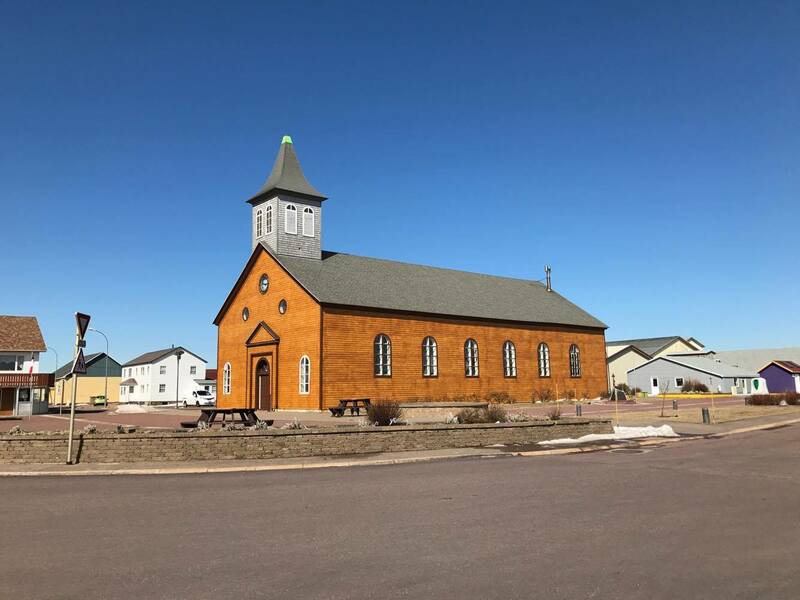 This wooden church was given the name Notre Dame des Ardilliers in 1865 in honor of Father Ardilliers, the priest who made it possible to build the first place of worship on the island of Miquelon-Langlade by advancing funds. Learn how to use your camera’s “panorama” function, because the one you discover here is breathtaking. In good weather, it’s even possible to see the coast of Newfoundland. Following the request of the Ministry of Colonies, the nuns of this religious congregation worked as nurses and elementary school teachers until 1998. The building was demolished in 2001 and a new modern house was inaugurated in 2004. 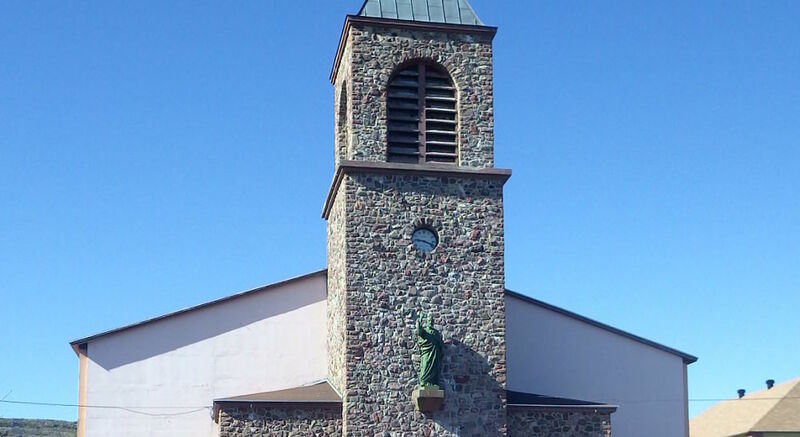 This memorial was built in honor of residents of Saint-Pierre who gave their lives for France during the two World Wars. 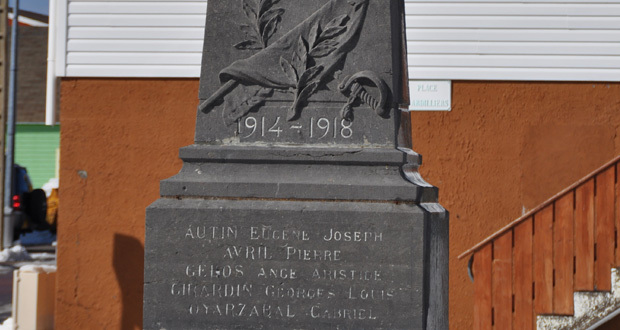 This memorial was built in honor of the people from Miquelon who gave their lives for France during the two World Wars.